Now that you’ve seen the Season 1 finale of Krypton, check out the first teaser for Season 2! SYFY today announced a second season pickup of Krypton, the untold Superman story based on DC characters from Warner Horizon Scripted Television. 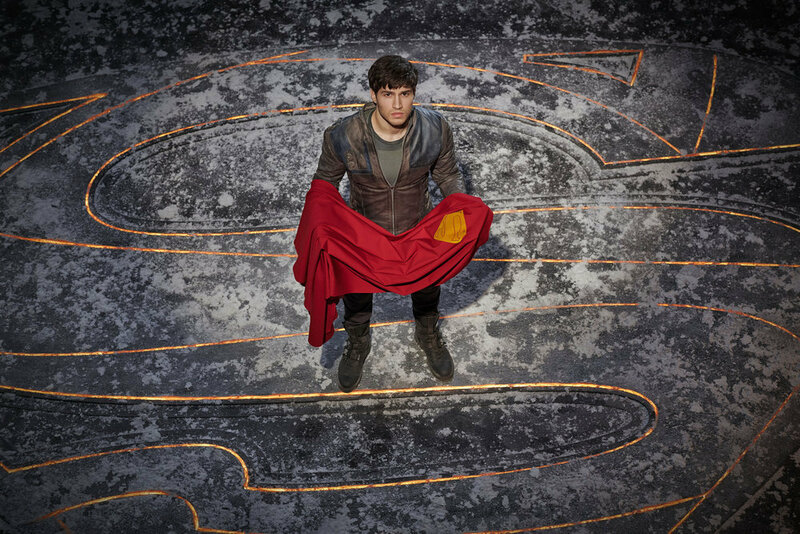 Krypton, which has averaged 1.8 million viewers L3 per week to date, is SYFY’s most-watched debut season among total viewers for an original series since Ascension in 2014, and the most-watched season for any scripted series on the network since Defiance in 2015. With the can’t-miss Season 1 finale airing this Wednesday, May 23 at 10/9c, Krypton’s second season is expected to return in 2019. Based on characters created by Jerry Siegel and Joe Shuster, Krypton is from Warner Horizon Scripted Television and is executive produced by David S. Goyer (Man of Steel, Batman v Superman: Dawn of Justice) through his Phantom Four banner, alongside Cameron Welsh, who serves as showrunner. Viewers can catch up on Krypton at SYFY On Demand, which includes SYFY.com and the SYFY App. With the 25th anniversary of the beginning of what was then the Sci-Fi Channel coming up in September, Syfy is going through a new reboot – but that doesn’t mean you are losing any of your current favorite programs, as the channel recommits itself to genre programming and fandom at large. Additionally, Syfy is scaling and expanding its editorial division Syfy Wire to infuse breaking genre news, in-depth analysis and thought-provoking original content across its entire ecosystem. Through Syfy Wire’s website (http://syfywire.com) and on air via future program development, programming integrations and regular interstitials and lower thirds, Syfy Wire will cover the latest and greatest in genre TV, film, books, comics, gaming and technology. Syfy Wire will also take the lead on this year’s reporting from San Diego Comic Con, once again airing for three nights. Syfy also announced the pickup to series of two pilots, Superman prequel Krypton and the graphic novel adaptation Happy!. Six new cast members have been added to Syfy’s Superman prequel series pilot Krypton. Ian McElhinney (Game Of Thrones) is Val-El, grandfather of Seg-El (Cameron Cuffe), and thus the great great grandfather of Kal-El/Superman. He is a rogue genius who believes that space exploration is a basic form of self-defense, and he has tried, without success, to warn the Kryptonian elite about the arrival of an ancient threat. Elliot Cowan (Da Vinci’s Demons) is Daron Vex, the Chief Magistrate of Kandor. Ann Ogbomo (World War Z) will play Primus Alura Zod, Lyta Zod’s (Georgina Campbell) mother and a leader of Krypton’s military guild. Rasmus Hardiker (Your Highness) is Kem, a brilliant engineer as well as Seg-El’s best friend. Aaron Pierre (Tennison) will be Dev-Em, a cadet under the command of Primus Alura Zod. Kryption, Syfy’s Superman prequel series, found a lead in British actress Georgina Campbell (After Hours), who will play Lyta Zod, daughter of General Alura Zod and a member of the military caste, who has been having a clandestine relationship with Seg-El, Kal-El’s grandfather, who is trying to restore the honor of the ostracized House of El. No casting of Seg-El has yet been announced. Across the hall at flagship NBC, the Peacock Network is developing Unidentified, a high-octane thriller with sci-fi elements from Universal Television and Zachary Levi’s Middle Man Productions. Levi recently hosted Syfy’s Geeks Who Drink, and of course helped make nerds cool in Chuck. Levi is executive producing along with Turi Meyer and Al Septien (Smallville, Salem), with Middle Man partner Justin Allen co-executive producing with Sean Finegan, who is writing the script. The show follows a CIA operative trying to protect his family from an unimaginable secret. Syfy made the Krypton pilot green light official today, and gave a few more details on the upcoming production, the much-anticipated Superman prequel set two generations before the destruction of the legendary Man of Steel’s home planet. Krypton will follow Superman’s grandfather — whose House of El was ostracized and shamed — as he fights to redeem his family’s honor and save his beloved world from chaos.